Generations of the Cattunar family are rooted in the terroir of western Istria. Franco Cattunar, the founder and owner of Cattunar Wines entered the family business in 1985. His grandfather, Anton, was co-owner of the communal winery in Brtonigla before WW2 and his father was a grower. Since the late 80’s the family estate has constantly expanded. Sprawled over 56 ha, this is one of the largest privately owned vineyards in Istria. Whilst Franco and his wife Vesna currently play leading roles, their daughter Nicole and son Edi belong to the new generation of winemakers making quality improvements in wine production. Cattunar Wines are among the most prized Istrian and Croatian wines and have been awarded numerous medals both nationally and internationally including Vin Istra, Decanter’s World Championship (DWWA) and the Good Wine Guide, Italy. The terroir of western Istria is probably the most particular in Croatia and Cattunar’s vineyards situated above the town of Brtonigla are no different - four soil types, the local micro climate and the cultural relationship developed over the years between the local winemakers and their vines produce distinct varieties, unique for this part of the world. 1.Žmergo location is on gray soil (“siva zemlja”), a dusty soil with 25% of lime share. 2.Škrinjarilocation is on black soil (“crna zemlja”), which is, in fact, brown soil on the marl stone. 3.Grun location is on red soil (“crvena zemlja”), a typical Istrian terra rossa. 4.Škrilne location is on white soil (“bijela zemlja”), which is of similar composition to gray soil but with a larger share of lime (27%). Due to the four soils phenomena, the Cattunar family are proud to be the first to produce distinctly different wines in the same vintage - in the same vineyard. 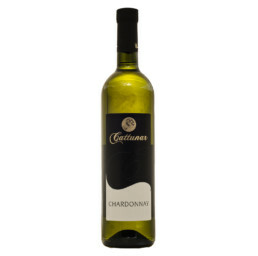 ABOUT – Cattunar winery produces and bottles this classic Istrian Malvasia from the Zmergo vineyard which combines the four Istrian soils. It is their typical wine, defining the overall style of the house: elegant, with an emphasis on terrior, freshness and recognizable variety traits. FOOD CONTEXT – Cattunar classic Istrian Malvasia pairs perfectly with smaller blue and premium white fish, chicken and turkey dishes, white sauce pasta, frittata and polenta dishes. 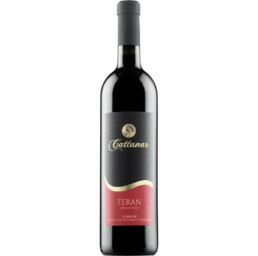 ABOUT – Young Teran is a fresh, fruity rich wine filled with primary aromas, made to be enjoyed in large quantities: when you are thirsty and white wine does not appeal, slightly chill this Cattunar Teran, fire up the bbq or the grill and enjoy with meat dishes/fish. Its combination of summer fruits, freshness and energetic scarlet color could seriously make your day! FOOD CONTEXT – Enjoy with a regular meat grill or try it with prosciutto, various dried sausages or salami, young or medium mature cheese, fried sardine or smelt, “brudet“ (a fish stew) or try it with pizza. 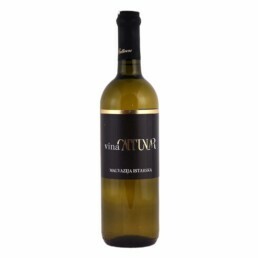 ABOUT – The wine features a straw yellow color, crystal clear and partially fruity – the initial nose is a floral fragrance followed by white peach and citrus notes and a small note of dry almonds. The wine is dry, of medium body, partially soft and well balanced. FOOD CONTEXT – This is a wine made for oysters, yolk caps, mussels, white grilled fish, but also wonderful with classically cooked rice. Wild asparagus, when in season will pair superbly with this mineral chardonnay.